Is it possible to allow cables to pass through the rear or side walls? Yes. USM offer side and back panels with rectangular punched holes (63 x 48 mm). The charge is EUR 24.00 incl. VAT per cable outlet. Should you require cable outlets please use the "comments" box at the end of the order process to advise our USM Service Team of the desired positions or order the Cable Entry Hole in our shop. 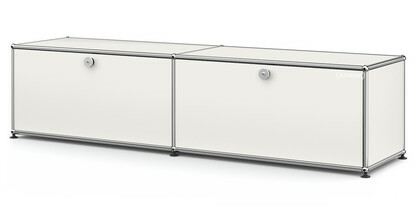 Is it possible to convert existing drop-down doors to extension doors? 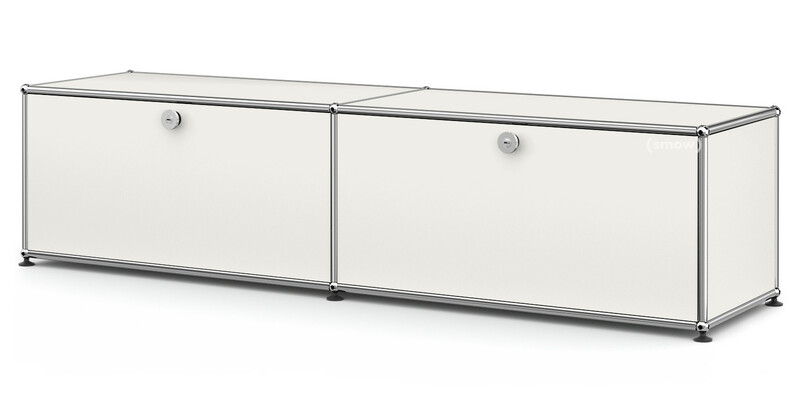 As a modular system USM Haller units can be adapted and changed at any time. Some conversions however should only be undertaken by trained USM technicians: such as the conversion of a drop-down door to an extension door. Our USM Service Team can provide more detailed advice. What is the load capacity for a USM metal shelf? The load capacity of a metal shelf is ca. 50 kg. Heavy point-like loads (eg metal sculptures) can however cause severe bending. In such cases the use of a support profile is recommended. 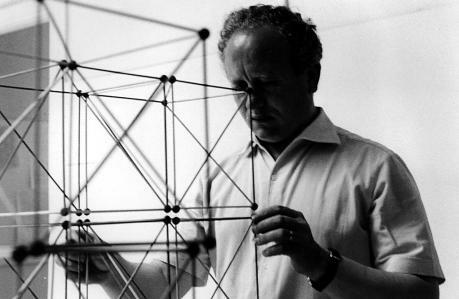 Although principally an architect Fritz Haller, is probably best known for his his modular furniture system. Following an initial training as a draughtsman and subsequent architecture studies Fritz Haller travelled to Rotterdam where he worked with Willem van Tijen and Berend Bakema, an experience that was to have an important consequence for his later work. With a penchant for systematizing Haller planned especially schools, office buildings and industrial facilities, all rooted in the ethos of functionalism. His most famous work arose almost by accident. Commissioned to design new buildings for the company USM he also created a furniture system for the offices. 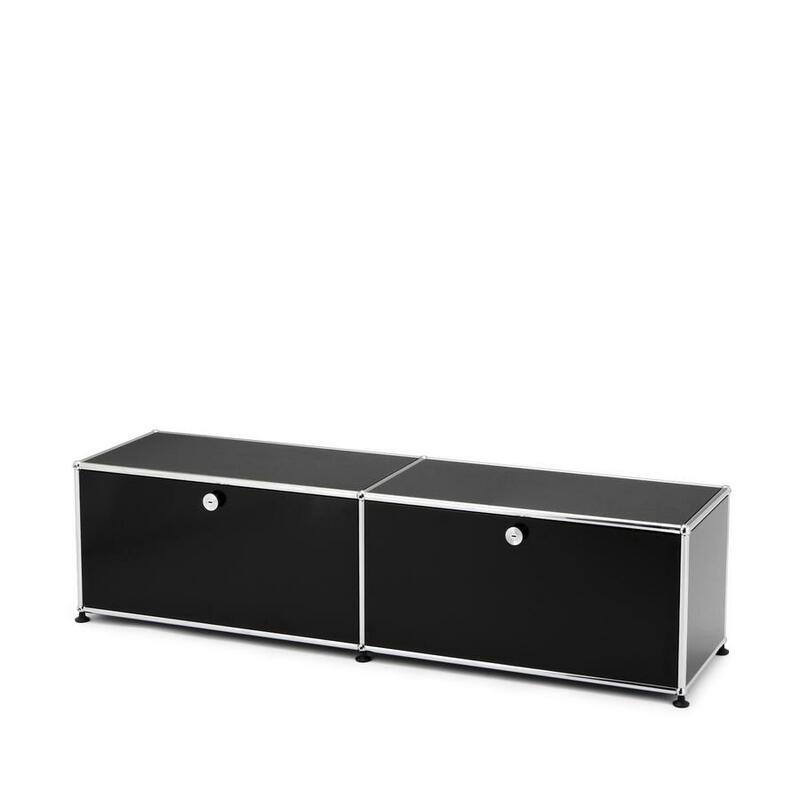 A furniture system which went on to become a global success. 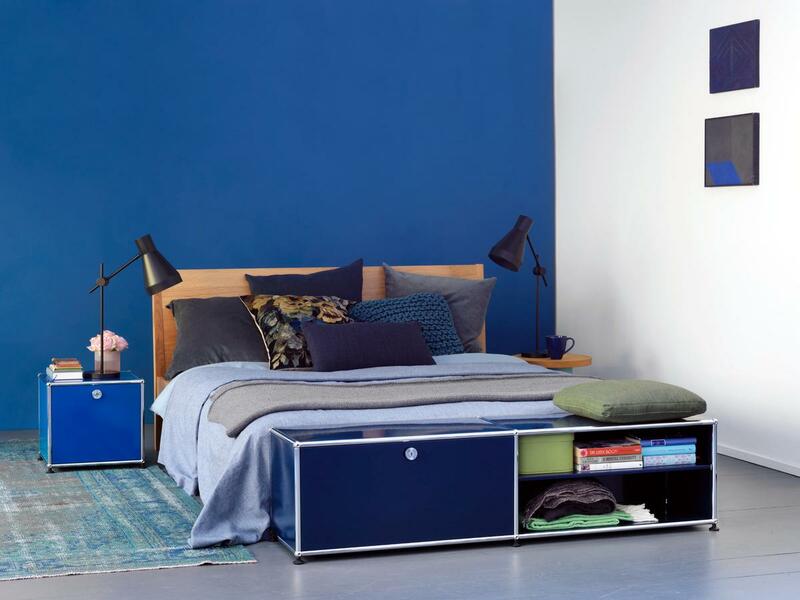 The USM Haller modular furniture systems remained Fritz Haller's only furniture design, but made him famous worldwide. Fritz Haller died in October 2012 in Solothurn, Switzerland. 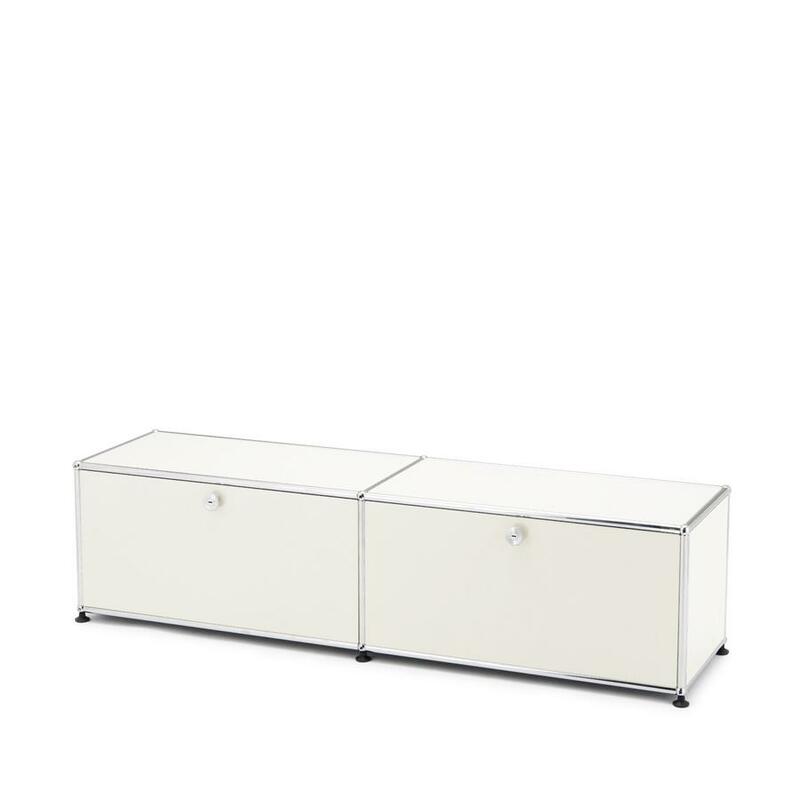 The USM Haller modular furniture system was developed in 1963 by Fritz Haller. The Swiss architect had previously been contracted to design new facilities for the company, including flexible, modern open-plan offices. 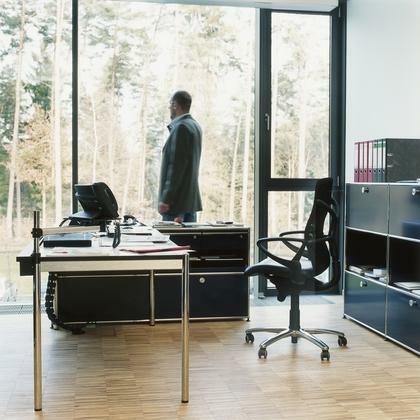 Fritz Haller was asked if he could also develop furniture for the offices,the result was the the USM Haller system. Originally created exclusively for the USM headquarters, in 1969 Rothschild Bank requested units for their Paris offices and USM boss Paul Schärer decided to begin with serial production. 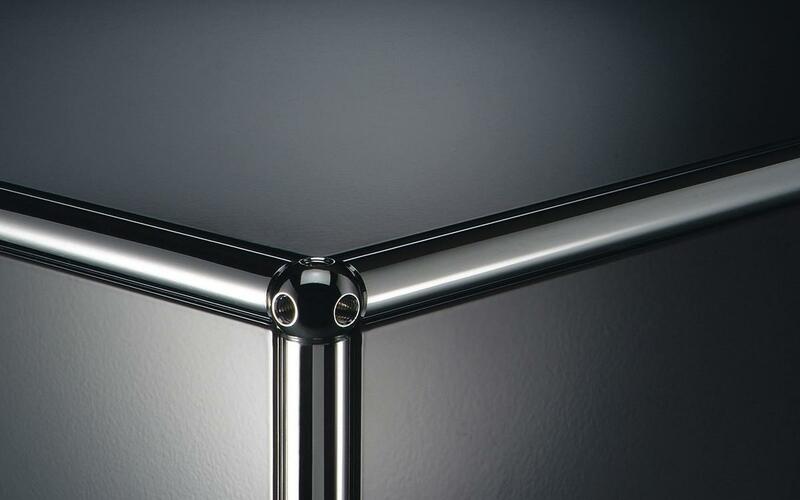 USM Haller furniture is comprised of three basic elements: chrome plated metal tubes which are connected by brass balls into which made of metal or glass panels are slotted. 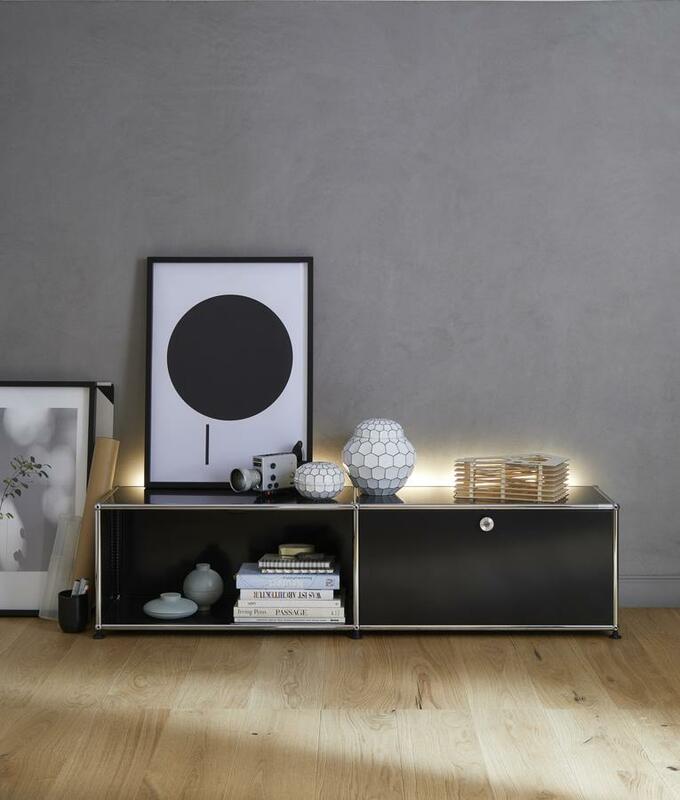 The minimalist system allows flexible and customisable furniture design, which can be adapted not only to different needs and circumstances, but which can also convert at a later date as required. 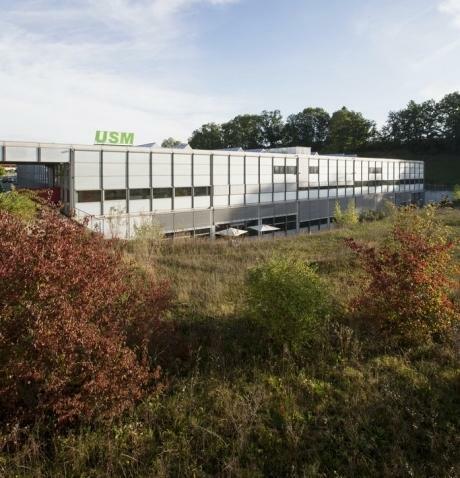 All USM furniture begins life at the companies HQ in Münsingen, Switzerland. There USM produces all metal parts. In a new, environmentally friendly paint process the metal shelves are powder coated and so become their relatively robust, slightly shiny, surface. 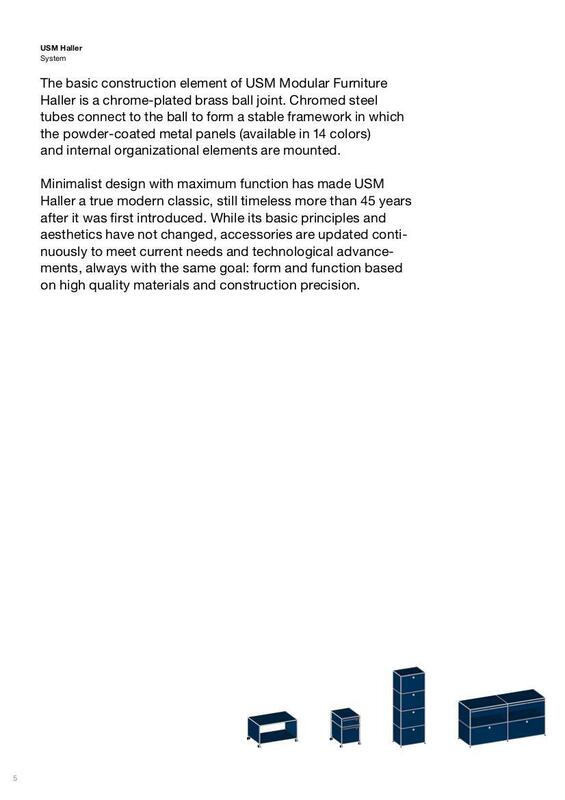 In addition to the classic USM Haller white all USM Haller units are available in thirteen further colours. Items intended for the German market are transported to the USM factory in Bühl in Baden-Württemberg and there assembled. In the special cases the final assembly is carried out directly at the customer's premises. The integral sustainability of the USM Haller shelves arises mainly from the minimalist, modular design of the product itself: but also through the use of high quality and durable materials usedfor its production. Not only the buildings Fritz Haller built, but also the USM Haller furniture is closely linked to the concept of functionalism. The term first arose shortly after the First World War, in particular in context of the at the Bauhaus school. While initially proposing a more expressionistic and artisan approach to design, following Bauhaus' move to Dessau the focus shifted more towards a functional form and the use of industrial manufacturing processes. According to the famous dictum "form follows function" the beauty in architecture and design should result from the functionality of the object alone. Through providing individual solutions for different, specific use situations USM furniture exists perfectly in this spirit of functionalism, while its strict and minimalist design allows for a modern and timeless aesthetic. Thus USM Haller remains a modern and stylish furniture system which due to its multi-functionality, is today not only a common site in office situations, but is also increasingly being used in the homes. USM began life as a hardware store and locksmith founded in 1885 by Ulrich Schärer, grandfather of the Paul Schärer. In the 1920s the company added the production of window fittings to its portfolio and post World War II general sheet metal fabrication. In 1961 Paul Schärer commissioned Fritz Haller to plan an build new production and office facilities for the steadily growing company. 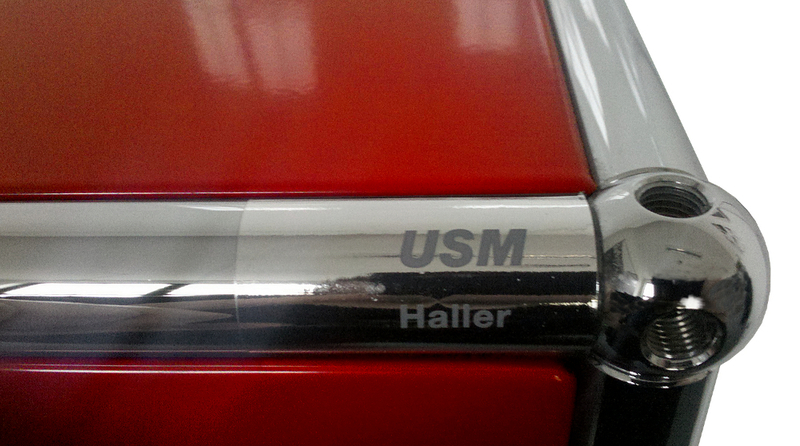 This collaboration resulted in 1963 in Haller's design for the interior and a fundamental turning point in the history of the company: System USM Haller. Since the start of serial production in 1969 the USM Haller furniture system has become increasingly successful and indeed since 1992 the company have focussed exclusively on the production of USM Haller furniture. During the 1990s USM opened new production sites in France and the USA while a series of flagship stores around the world has helped make a product from small town in Switzerland a leading global brand.